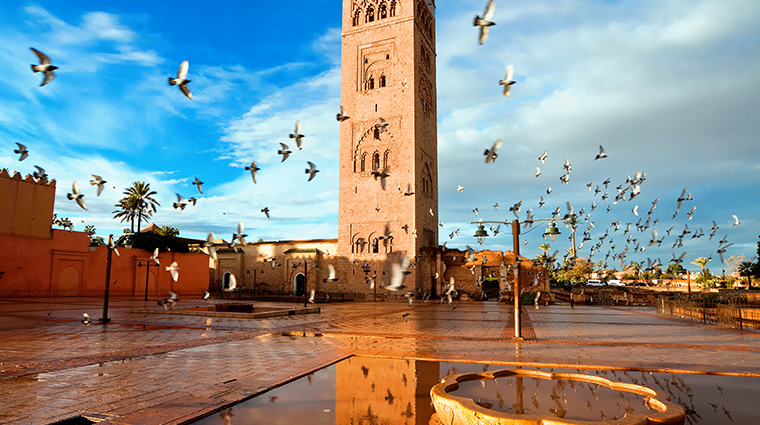 The moment you step inside the medina walls of Marrakech you'll experience a sensory rush. This ancient trading city at the foot of the Atlas Mountains is a welter of sights, smells and sounds. Motor scooters compete for space with donkey carts carrying fruits and vegetables. Chic spas and restaurants shoulder up against traditional riads and stalls where merchants sell everything under the sun. The city's cramped medieval streets defy the best GPS systems. In Marrakech, old and new crash together in a delirious tumult, one that never fails to delight and surprise visitors.